Хочу отметить, что эта инструкция родилась в процессе внедрения Zabbix в стенах компании Acronis. В процессе экспертизы и проведенных мною исследований, она доказала свое право на жизнь и благополучно служит нам верой и правдой день изо дня. Перед нами стоит нетривиальная задача, добиться максимальной производительности известной системы мониторинга zabbix. Среди многих статей в интернете, есть много описаний типовых установок этой системы. Я подробно опишу, как заставить работать zabbix быстрее. В качестве базовой системы я буду использовать CentOS 6.4. Так же как и многие я люблю Debian, Gentoo и все остальные дистрибутивы, но эта статья именно для CentOS. # Убиваем все старые компоненты MySQL, Это удалит MySQL! Вот таким простым методом, мы получаем высокопроизводительную установку zabbix. Спасибо за Ваше внимание, если Вы сочтете этот материал интересным, то я буду рад поделиться еще многим и многим! Reposted from here, really amazing post! Zabbix is a monitoring tool which is widely used in all kinds of environments. Zabbix is very flexible, information can be retrieved using HTTP/SNMP or by installing a Zabbix agent on the machines to monitor, and allows a lot of customization. Unfortunately this also means that the learning curve can be rather high. 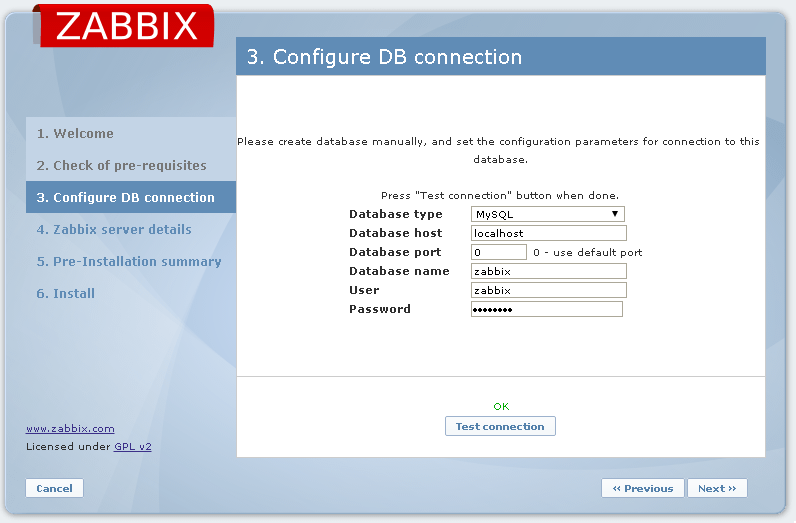 This post will go a little deeper into the installation process and the first steps in Zabbix. Zabbix can be installed from most standard repositories in a variety of Linux distributions. For this post, I’m using CentOS 7 and I decided to use the official Zabbix repository to ensure that we’re using the latest version of Zabbix. Zabbix requires a database backend and for this post, I will use MariaDB (a fork of MySQL). The packages in the standard CentOS repositories have the version number in their name. 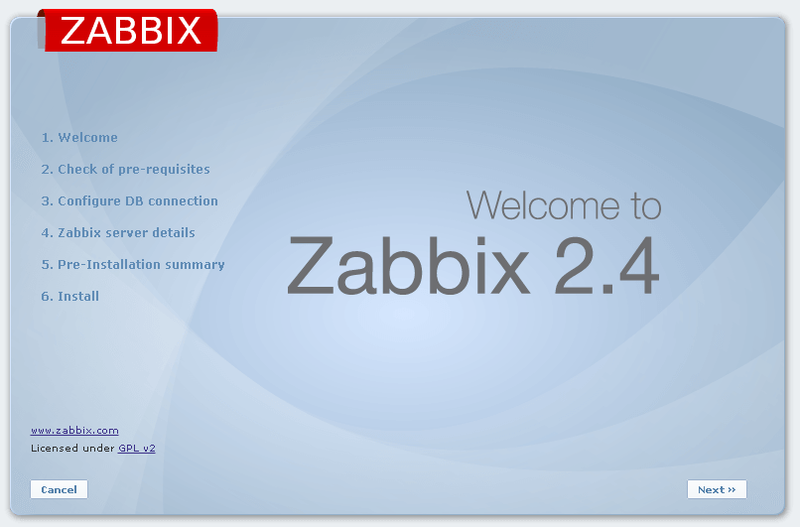 (zabbix22 for version 2.2) so they will not conflict with the packages from the repository which we added. Summary : Enterprise-class open source distributed monitoring solution. As you can see, package Zabbix is version 2.4.3 and it will be taken from the repository which we just added, named Zabbix. Now that MariaDB is running and initialized, we can add a database for Zabbix, named zabbix, and create a user that has access to that DB. Use the root-password which you changed in the previous step when asked for a password and replace secretpassword with your own password for the zabbix database user. Be aware that, for this post, I’m leaving the rest of the MariaDB configuration at it’s default. For a production environment you really need some tuning in MariaDB to optimize the database system. To do so, I recommend using Zabbix for a while and then use https://github.com/major/MySQLTuner-perl on a regular basis to tune the database parameters. This approach is very straightforward and delivers very good results with a minimal effort. At this point, our database is ready so the next step is to configure the webserver (Apache) and PHP. The above commands just replace lines in /etc/php.ini by a line with the correct value. You can also edit the file by hand if you would like to. Before we can really use Zabbix, we need to open up the firewall to allow access to the Apache webserver and the webinterface of Zabbix. I’m assuming that outgoing traffic is allowed, otherwise you also need to open up UDP 161 for SNMP and TCP 10050 for the Zabbix agent. The default username is admin and the default password for that user is zabbix. At this point the Zabbix server is ready to use. To install the Zabbix agent on a Windows machine, I created a small archive that contains the Zabbix agent for 64bit Windows installations. Replace it with the hostname or IP of your Zabbix server. After changing zabbix_agentd.win.conf, run the install-agent.bat. It creates a service for the Zabbix agent and starts it. The community string is set as public in the above file, change it to something else if you prefer to. Log on to the web interface by browsing to http://<ip or hostname>/zabbix (for example: http://192.168.202.101/zabbix) and log in. In the next screen, enter a host name, add the host to a group by selecting it on the right side and clicking <<. When the host has the agent installed, enter the DNS-name or IP for the host in the Agent interfaces. For SNMP, remove the Agent interface and add an SNMP interface containing the same information. On the templates tab, add ICMP ping and a template that matches the host (for example “Template OS Linux” for a Linux host with a Zabbix agent or “Template SNMP OS Linux” for a Linux host with SNMP). Finally click Add and the host should be monitored. Don’t panic if you don’t see information iimmediately give Zabbix some time to discover all items that are relevant for the host. 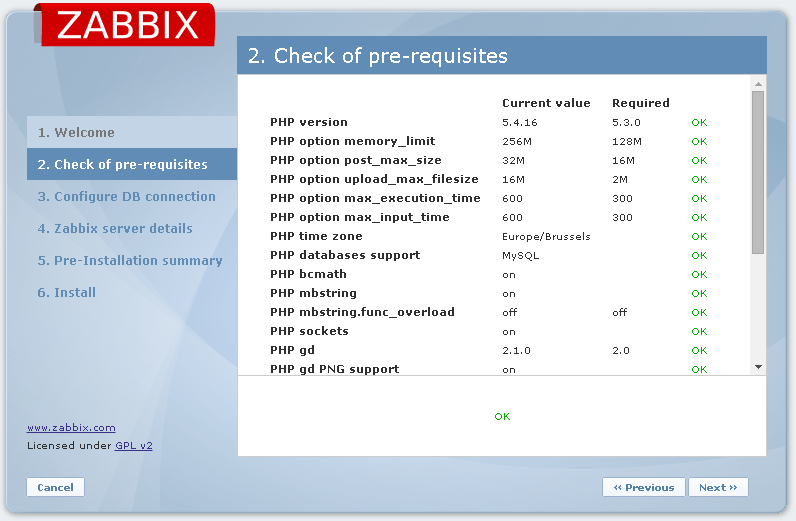 This should be all it takes to get started with Zabbix. Take some time to explore Zabbix’ functionality and experiment to discover all features.